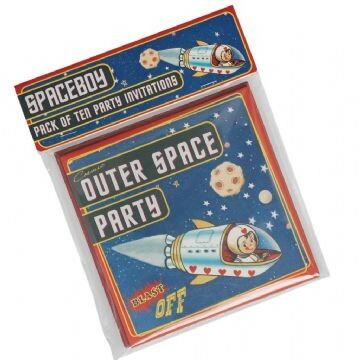 Spaceboy party invites and bags - spacekids - space toys, dressing up costumes, kids spacesuits, astronaut food, cool space stuff! Perfect for space themed parties with a brilliant retro space design! 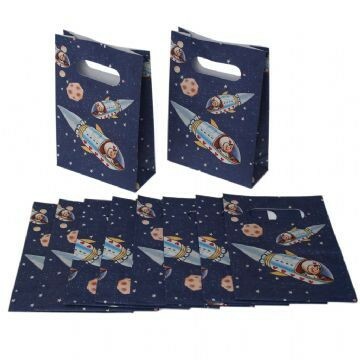 A pack of 10 Spaceboy blue paper party bags with a handy carrying handle, and 10 Spaceboydouble sided colour card party invites with red envelopes.